John McCoy-Lancaster calls himself a car-guy and has developed a reputation as an automotive enthusiast across Australia and around the world. 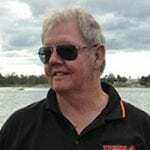 John is actively involved as an announcer for many of the major car events across Australia, including, MotorEx, Summernats, Australian Muscle Car Masters and the Hot Rod and Custom Auto Expo, to name few. He is also a subject matter expert in muscle cars for magazines and television both locally and internationally and has participated in multiple Hot Rod Magazine Power Tours, Hot August Nights, The Woodward Dream Cruise, Good Guys Festivals, Bonneville Speedweeks and has been to over 50 Autorama events over the past 20 years. His strong international network enables him to get to people behind the scenes and learn more from in-depth experiences in the car world. His passion extends to his own collection of classic GM vehicles. Barry began his career in the UK over 30 years ago and has developed into one of the industry’s foremost sales and marketing professionals in the collision repair industry. 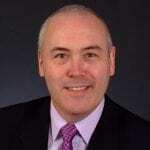 Having lived in Australia, Thailand, Singapore and The Netherlands, Barry has extensive experience in the Australasian, European and Asia-Pacific markets in industry-leading organisations. As founding director of global consulting firm Integrated Commercial Excellence, Barry’s capabilities extend to strategic sales, margin management, market introductions, global product management, brand leadership and integrated business planning. John Yoswick has been writing about the collision repair industry since 1989 and has been a full-time freelance writer since 1991. His work is regularly published in about two-dozen regional and national publications and websites in the United States, Canada, Australia and New Zealand. In early 2008 John acquired CRASH Network, becoming Editor and Publisher of the independent weekly bulletin established in 1994 that now has a subscription base that includes top executives from body shops, insurers and industry suppliers. 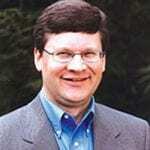 John holds a journalism degree from Northwestern University in Evanston, Illinois. Owen Webb began his career in the automotive industry as an apprentice panel beater/spray painter and has been in the industry for over 40 years. Owen developed a passion for restoring and customising cars in these early years, a passion that has stayed with him throughout his entire career. Own ran his own busines for 15 years before spending 10 years with ICI Dulux and then returning to the custom segment with House of Kolor (HOK). Owen is currently working with Motoractive, looking after HOK in Australia and running their show program. Owen has judged at many national and regional shows and enjoys giving back to the car community and passing on his knowledge and skills. Owen was awarded the Medal of the Order of Australia (OAM) and received a National Collision Repairer Lifetime Achievement Award in 2015. Mark Czvitkovits began his apprenticeship as a panel beater in 1977 in Western Sydney and on completion took a gap year that became a 9-year odyssey. Between 1991 and 2011, Mark worked in Germany and Australia, initially as a contract panel beater, before running his own body shop from 1996. In 2006 Mark became an I-CAR accredited instructor, in 2011 he sold his business and in 2012 began working full time with I- CAR, taking over the technical and operational management of the business. Mark has written and developed new courses for I-CAR, developed the Education Resource Package and worked with the Industry Training Alliance to provide the industry with a complete training path for today’s technicians. 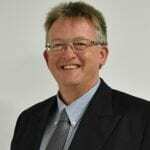 Mark has a degree in Business Management and in 2015, Mark was appointed to his current position, CEO of I-CAR Australia. 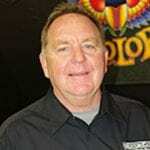 Chris Stone has been in the graphic design, media and newspaper industries for more than 40 years. During this time, he has designed and managed magazines for Federal Publishing Co, ACP Publications and Universal Magazines (the leading three publishers in Australia). At Universal Magazines he was also the founder of the very successful 4WD Monthly magazine. 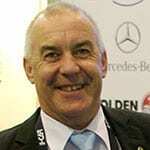 He has been a National Marketing Manager for TJM Products (Brisbane) and 4WD Megastores (Sydney). In 1980 he completed a graduate course in Marketing at Sydney University. He founded Stone Dezine, which specialises in retail and trade magazines, more than 15 years ago. Chris was a partner in The National Collision Repairer from 2005 to 2017.